Size - Large: 51 mm wide x 30 mm high - suitable for medium to large sized Dogs. Fits Collars up to 25 mm wide. 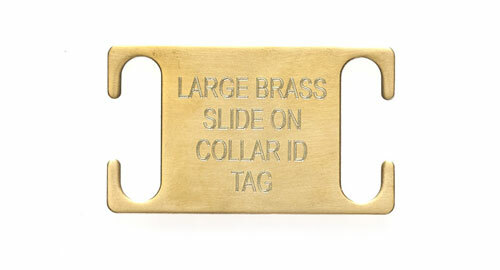 Our design of our Brass slide on tags will fit all types of dog collar, snap fastening and also buckle fastening.